Are you in New Braunfels and looking for a professional garage storage solutions such as garage shelving, garage overhead storage or garage flooring then look no further than Garaginization. Whether you are located in New Braunfels or around the San Antonio and San Antonio Metroplex or across the North Texas area - If you are looking for an experienced and professional garage storage solutions company then we can help. So whether you are located in New Braunfels, Plano Texas, or anywhere across the DFW Metroplex then we can help you with your garage storage needs. 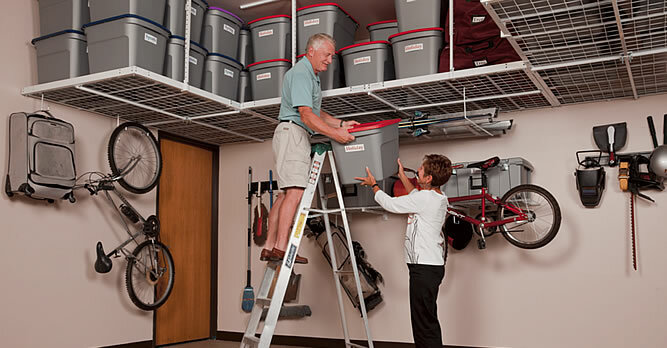 With our garage storage systems we can utilize your entire wall space for storage and get everything up off the ground. We utilize the Monkey Bars Garage Storage System which is the most versatile garage organization system on the Markey today. If you are looking for the best overhead ceiling racks in New Braunfels, Strong Racks is it. 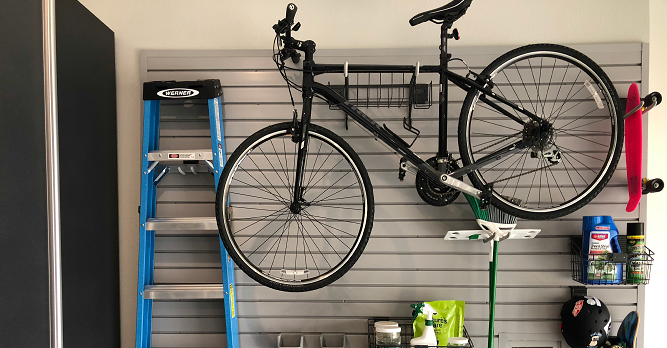 At Garaginization we have carried different brands over the years and from our experience Strong Racks Garage Overhead Storage Systems are the best product we have seen in ceiling mounted storage category for a variety of reasons. We could see that Strong Racks has had extensive experience in the Garage Industry installing other racks, and based on these experiences were able to create many key product innovations not available from other manufacturers. One of the most sought after home improvements has quickly become Garage Floor Coating. A Garage Floor Coating will make your garage feel like another room in your home. A Garage Floor Coating provides a seamless Garage Floor, not like Garage Floor Tiles, where there are seams and gaps for dust and insects. With our Garage Floors concrete dust will be a thing of the past, and spills of any kind can be easily wiped up with a cloth. Our Polymer Garage Flooring is four times more durable than Epoxy Flooring. The floor is waterproof and can be moped, hosed with water, and cleaned with virtually any household cleaner. If you are looking for Garage Cabinets in New Braunfels you came to the right place. Our quality, Variety and price are unmatched in the San Antonio Metroplex. We can design beautiful garage cabinet systems to fit most budgets. For the money, these can’t be beat. I purchased the Monkey Bars Storage system from Garaginization and I’m ABSOLUTELY THRILLED with my clutter free garage! My husband had tried to hang many items himself but we were still unable to fit the kids toys and both cars in our garage. With the Monkey Bars Storage system, EVERYTHING (bikes, scooters, balls, lawn chairs, rake, shovels, etc…) has it’s own place, including BOTH of our cars!!! I hope to soon do our flooring with Garaginization. I have compared their floor to several others and it’s by far superior!